The current season of ‘Love & Hip Hop: Hollywood‘ is about half way over, so you know what that means…reunion time! This week the cast of the hit VH1 reality series reunited all together on one stage to rehash the drama, messiness and shade from season 5 and we here things got quite interesting. 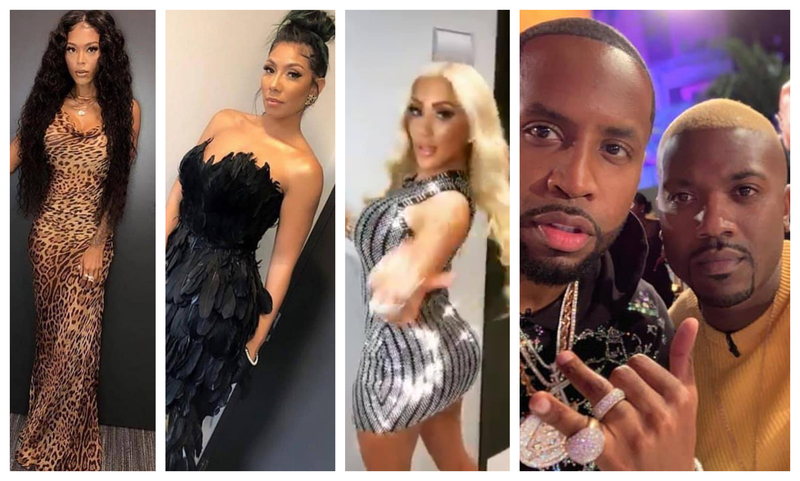 According to reports and snaps, the majority of the cast was in attendance including Ray J, Princess Love, Teairra Mari, Safaree, A1 Bentley, Moniece Slaughter, K. Michelle, Bridget Kelly, Brooke Valentine and others. Lyrica Anderson reportedly wasn’t physically at the taping due to her pregnancy, but will be on Skype’d into the reunion. Although there are no specific details yet, we have heard that fans can expect to see K. Michelle in rare form as she will square off with some of her enemies from the season and reportedly read several cast members for filth. Moniece & Princess Love finally squashing their beef and will reconcile on stage. The two are now following each other on social media. We also hear Moniece & Teairra Mari also reconciled and are good now following their on again off again tension this season. Some of the cast took to Instagram to share some snaps while some snaps hit the gram via behind the scenes, get in below. @applewatts Love and Hip Hop Hollywood reunion!! #LHHH #lhhreunion #lhhhreunion #kmichelle Wait, do I see #MonieceSlaughter back there ?